Nosara Beach is one of the biggest beaches in Guanacaste. Its main features are its luxuriant mangroves, rugged rocks and beautiful coral reefs. But, undoubtedly, it is the quality of its waters which makes it a tourist model due to its excellent waves, which create the perfect scenery to practice water sports like surf. This beautiful beach is located near the village of Nosara, a well-known place for the sports played there, above all surf and yoga. 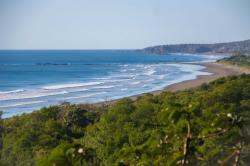 Also, in Nosara you can spend some days enjoying the quietness of places like Playa Pelada and Playa Guiones beaches. 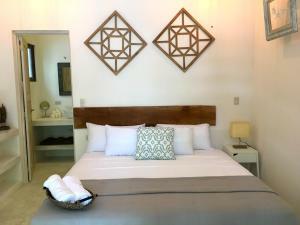 In the village, there are lots of hotels where you can stay and restaurants where you can taste the best of the Costa Rican cuisine. During your journey through Guanacaste, you should definitely visit Nosara Beach, where you can enjoy the best surf and discover the Costa Rican habits and way-of-life. 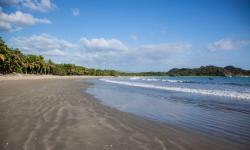 3.23 miles away from Nosara village, Province of Guanacaste, Costa Rica.